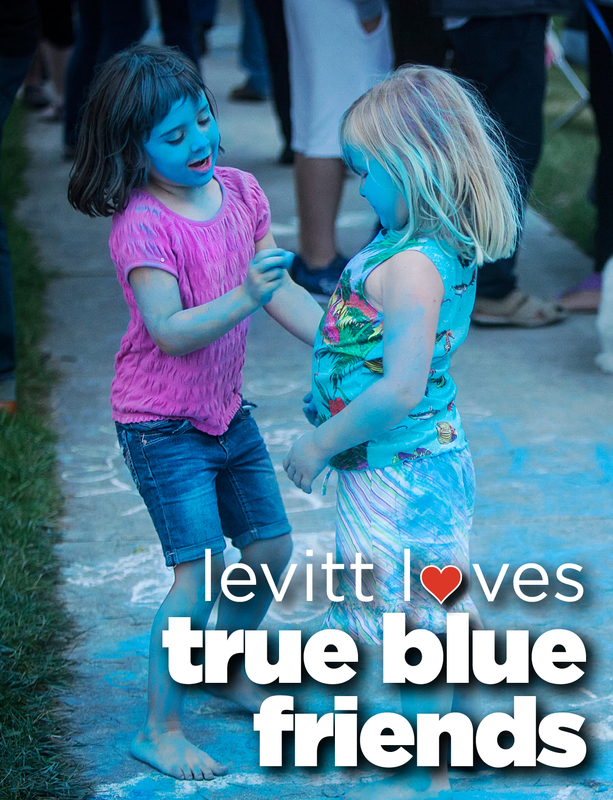 Levitt Loves True Blue Friends! These buddies sure got a blast of blue earlier this concert season at Levitt AMP Sheboygan! Levitteers in this Wisconsin city were invited to take part in art activities prior to each free show, including face painting, writing poetry, and chalking up the streets (and each other!). Though on such fun-filled evenings, there’s no way you can feel blue! While we look back at Levitt lawn action from this summer, the music goes on at Levitt AMP Charlottesville and Levitt AMP Cleveland, with free concerts continuing over the next two weeks. Check out their lineups and bring your buddies to the next show! This entry was posted in Levitt Loves and tagged Levitt AMP Sheboygan on October 12, 2016 by Lucy Truong.